We wish the 5th grade students, staff and chaperone's well as they head off to Valley Forge and Adventure Week this week. We know you will have an educational and memorable week! Thank you to all who attended the gala Saturday supporting LCFEF. A big thank you to Caroline Anderson and our very own Sunyoung Fahimi who did an incredible job coordinating the event. Our schools are very lucky to have you! The submissions deadline for the next Cougar Tracks email is March 20th. Read the policy/guidelines. Carlo Cesario is our amazing talented Recource Specialist Teacher for special education students here at PCY. He has taught for 8 years and been with us for the past 3 years. We are so lucky to have him! Carlo advocates for students that often need it the most and always with a positive attitude and smile. 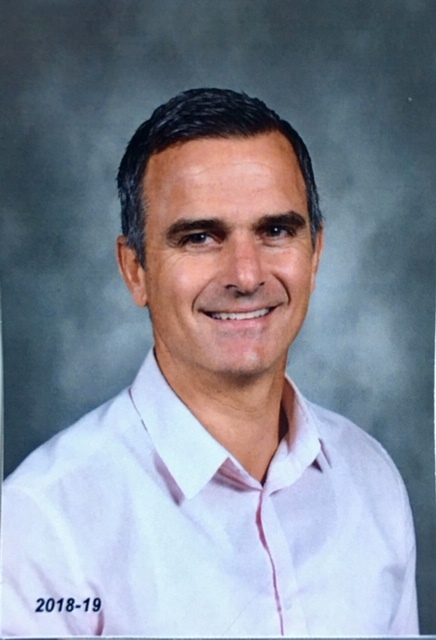 He goes above and beyond for his students, is always available to parents, and acts as a liaison between school and home. He can be heard playing the guitar and singing multiplication tables to students. He can be seen throwing a football or playing soccer with a student who is in need of a break. His colleagues appreciate his support and willingness to help. He focuses on the student's strengths which, over time, gives the child confidence and strength. He has endless patience. Carlo sincerely gets to know all of the kids including their hobbies and what sports they play. Carlo's dedication to his students shows in everything he does. Carlo has been married to his beautiful wife, Fiona, for 23 years. He loves surfing, hiking, and making things in his free time. We are thrilled to present Carlo Cesario with the Founders Day Honorary Service Award this year! Please join us to celebrate Carlo and all of the Founders Day Award winners this Thursday, March 21st at 6:30 p.m. at the La Canada High School Auditorium. 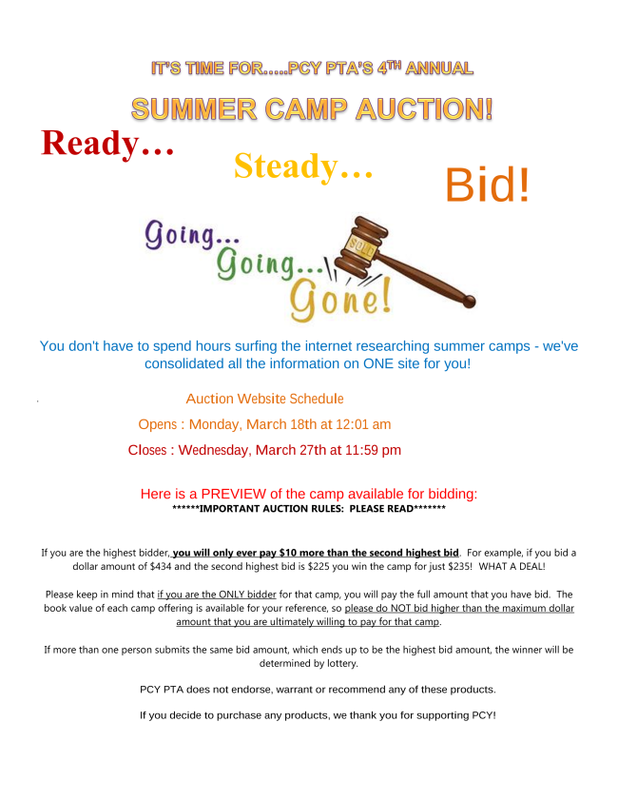 Summer Camp Auction Opens Monday! Auction Opens on Monday on the PCY PTA website. 6th GRADE YEARBOOK PHOTOS LAST CALL! 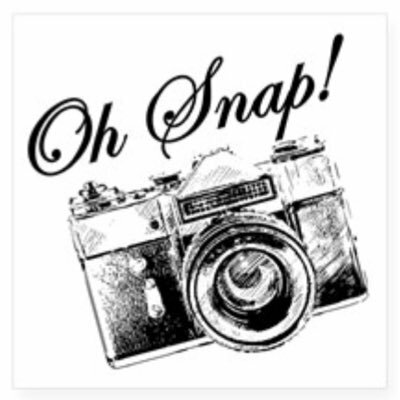 Grade 6 parents, please don't forget to submit your pictures by tomorrow! Deadline for submission is Monday, March 18th! Contact Sunyoung Fahimi (sunyoung@fahimi.net) if you have any questions. 3/21 Open Robotics Night - 5:30-8:00 p.m.